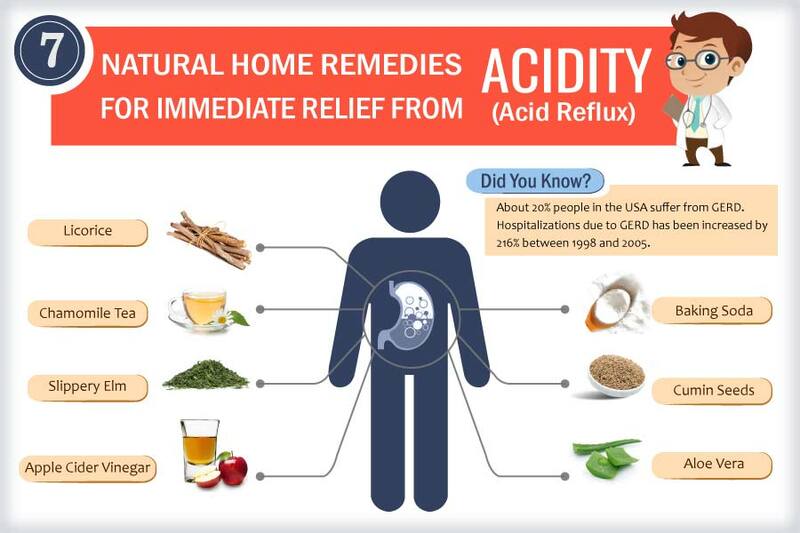 Acid reflux, also known as gastro oesophagal reflux disease (GERD) is a condition where a person experiences severe heartburn; however, the good news is that there are several effective home remedies for acid reflux. With half the American population suffering from acid reflux, it is indeed a cause for concern. 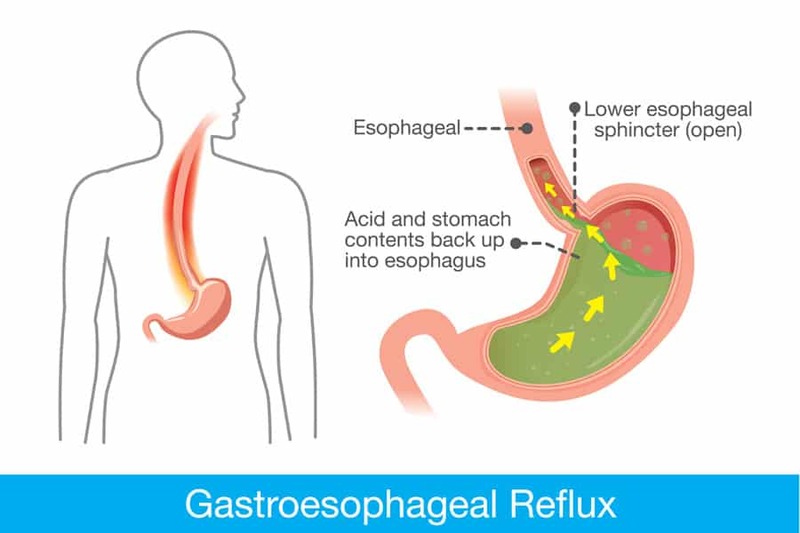 Reflux is the action where the food that is just swallowed comes back along the esophagus (food pipe) with pancreatic juices and other bilious material, often causing a burning sensation on the inner lining of the esophagus. The acid content in the food that is thrown up causes irritation, inflammation and a burning sensation, resulting in nausea and coughing. The uncomfortable feeling lasts for a few minutes before subsiding. 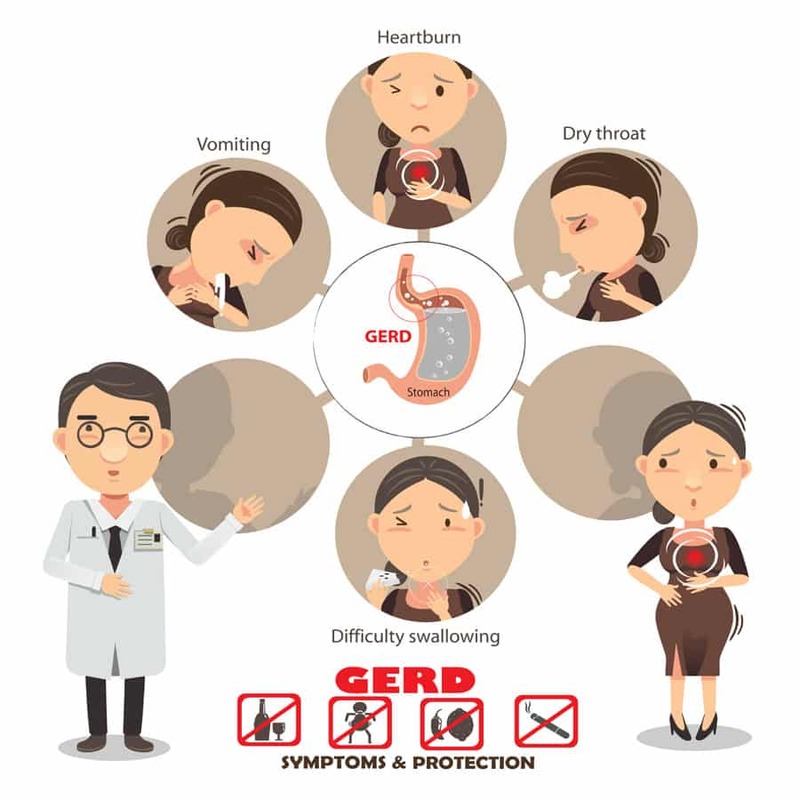 About 20% people in the USA suffer from GERD. Hospitalizations due to GERD was increased by 216% between the year 1998 and 2005. 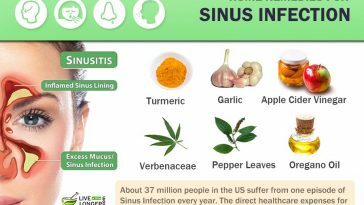 Consuming certain foods like citrus fruits, tomatoes, garlic etc. Boil one teaspoon of Licorice powder in a cup of water. Allow it to steep for 10 minutes. Strain and drink while it is warm. Drink it twice a day for a week or so. Licorice root powder has been advocated as a cure for several maladies. It has great healing properties and is very soft on the stomach. It has a soothing effect on the mucous lining in the stomach and protects the stomach’s inner linings from the acidic effect of the digestive juices secreted in the stomach. It is good for reducing the gastric inflammation caused by acid reflux and helps cure the condition fast. Licorice root powder is one of the best home remedies for acid reflux. Any ulcer has formed in the esophagus or there are sores due to constant reflux of acidic bilious juices. In such cases it is better to consult your physician. Take 100 gm of mustard seeds. Run it in a mixer-blender and powder it finely. Store it in an air-tight bottle. Mix one teaspoon of mustard powder in a cup of warm water. Drink it twice daily for a week or so. Yellow mustard powder is a great home remedy as it has curative properties. 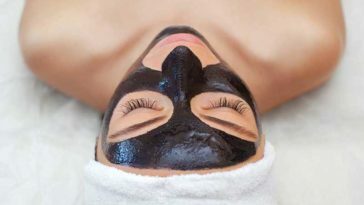 It has already been used as a home remedy for various skin afflictions and helps in toning the skin and helps in gaining a great complexion. When consumed orally it helps by neutralizing the digestive acids secreted in the stomach. The vinegar content found in mustard powder is actually a weak acid; it helps in lowering the pH levels in the stomach. Yellow mustard powder is an excellent home remedy for acid reflux. You react adversely and the heartburn becomes worse, as it does in some cases. It is better to try a small quantity first and proceed with the treatment only if it suits your body constitution. Boil one teaspoon of fresh fennel seeds in a glass of water. Allow it to steep for 10 minutes. Strain and add one teaspoon of pure organic honey. Fennel is a great anti-spasmodic and helps cure spasms in the stomach. 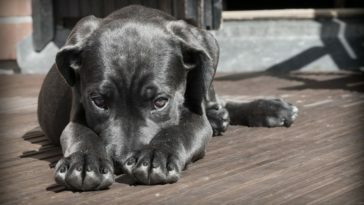 It is also good for treating colitis and is also a great aid for digesting the ingested food. The compound called anethole that is present in fennel has an anti-inflammatory effect and helps soothe the stomach whenever it is upset due to the secretion of acidic digestive juices. Fennel is one of the best home remedies for heartburn, which is also known as acid reflux. There is no reason why this remedy should not be good. However, for severe cases of heartburn do consult your physician. Boil one teaspoon of raw cumin seeds in a glass of water. Drink once daily for a week or so. Cumin seeds act as a neutralizing agent and help nullify the effect the gastric juices have. Moreover, cumin seeds stimulate the digestive system and help in curbing issues like excessive formation of gas (flatulence) and hyperacidity. Cumin seeds act as a natural home remedy for acid reflux. Take two thick leaves of fresh Aloe Vera. Remove the prickly thorns on either side. Remove the skin on the rounded side. Scrape the gel into a mixer- blender. Juice the gel and drink it after a meal. Alternatively, you may buy Aloe Vera juice from health stores. Aloe Vera is a wonder herb that has been recommended for treating various skin afflictions and for internal consumption as well. It has excellent anti-inflammatory properties and is a great antioxidant as well. The consumption of Aloe Vera juice has a smoothing effect on the inner linings of the stomach and can neutralize the acidic effect of the gastric juices that are secreted during the process of digestion. Aloe Vera juice answers the question how to get rid of acid reflux naturally, as it is 100% natural and effective as well. Mix two teaspoons of undiluted apple cider vinegar in a glass of warm water. Add a teaspoon of pure, organic honey. Drink it half an hour before eating your meal. Repeat the process daily for a week or 10 days. Apple cider vinegar, which has been in use as a medicine for ages, is effective in curing many conditions and diseases. 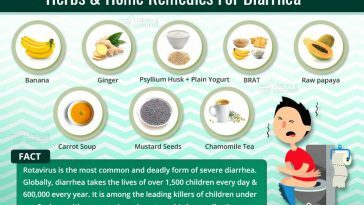 It is one of the best home remedies for acid reflux. Drinking apple cider vinegar has a soothing effect on the stomach. Moreover, it is a great digestive aid and balances the acid content in the gastric juices secreted during the digestive process. Apple cider vinegar is one of the best home remedies for acid reflux. Plan a diet that is non-acidic and easily digestible. Avoid chocolate, caffeine, spicy foods, oily foods. Include green leafy vegetables in your diet. Consume salads made of cucumber and celery. Eat light and healthy, eat the barest minimum before bedtime. Diet plays a very important part in our well-being, especially for people who have problems like heartburns or acid reflux. Although the above-mentioned diet can be very bland and not as tasty or delicious as the foods that are banned, they do good for the digestive system and help strengthen the stomach. When the stomach regains its power to digest food it starts functioning normally and there can be no problem of acid reflux. Hence, a strict diet is undoubtedly a great home remedy for acid reflux. Obesity is a major cause of acid reflux. A strict regimen of exercise is a must. Losing weight helps cure acid reflux. Practice a set of aerobic and anaerobic exercises. 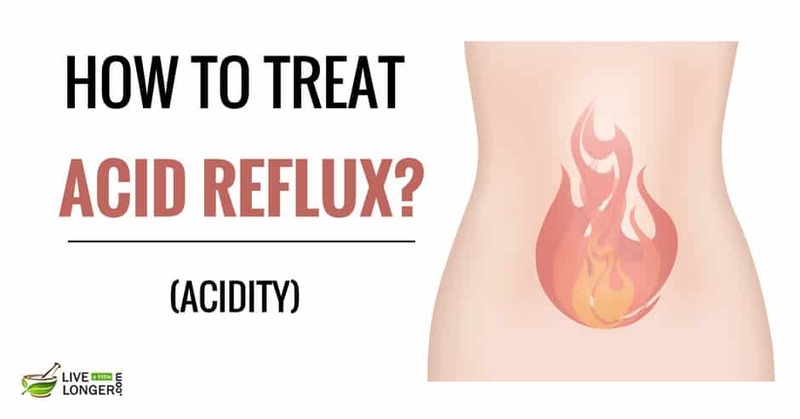 Since being overweight or obese is a major factor for the occurrence of acid reflux reducing your weight to normal levels has to be your primary goal. 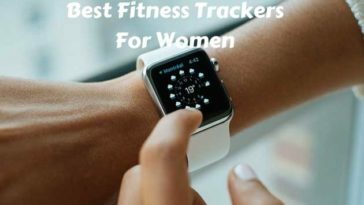 This can only be achieved by following a strict regimen of calorie burning exercises like swimming, jogging, cycling and other aerobic and anaerobic exercises. Try to maintain the BMI at ideal levels which should be below 24. 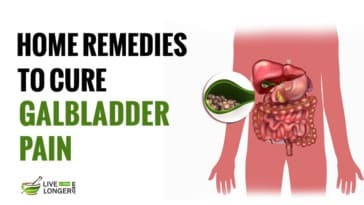 When weight is maintained matching a person’s height and age, it goes a long way in curing acid reflux, hence losing weight is an important home remedy for acid reflux. Take a finger of fresh ginger. Wash, peel and chop to fine pieces. Boil a teaspoon of Chamomile Powder in a glass of water. Add the diced ginger and Chamomile Powder. Let it steep for 10 minutes. Strain and drink twice daily. Continue the process for a week. Ginger is a great digestive aid and the herb has been used as medicine for curing indigestion and other stomach disorders. It is a great antioxidant and has excellent anti-inflammatory properties. Chamomile powder is also an excellent antioxidant that has great anti-inflammatory properties as well. They work on the stomach’s inner lining and have a soothing and calming effect, making them one of the best home remedies for acid reflux. Boil a handful of fresh Tulsi (Basil) leaves in two glasses of water. Allow it to steep until the concoction turns reddish brown. Strain and drink while it is hot. Drink it twice daily for a month or so. Tulsi leaves are considered the best medicine for various ailments, as they have many curative properties. 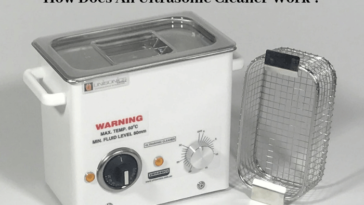 Apart from curing chronic cough and the accumulation of phlegm, they help prevent bronchitis. Tulsi has the power to increase the mucous production in the stomach to form a protective lining for the inner walls. Once the inner walls of the stomach are protected against the acid secreted by the digestive juices, there can be no reflux or heartburn. Tulsi leaves are one of the best home remedies for acid reflux. You can also eat the ‘Red Delicious’ variety of apples after a meal. Probiotic foods such as yoghurt are good in controlling acid reflux. Avoid heavy dinner before going to bed. Heavy smoking can cause acid reflux, it is time to kick this habit. 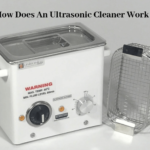 Next article How Does An Ultrasonic Cleaner Work ? 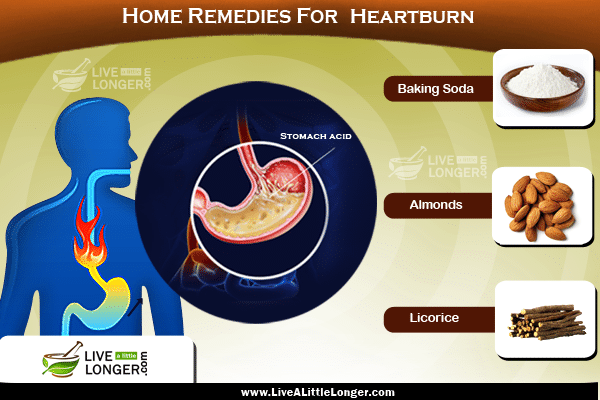 Easy and Quick Home Remedies To Get Rid Of Heartburn! Hey Live a little longer! 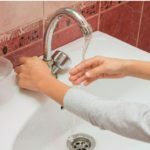 Recently I have been noticing two of these symptoms in my body (frequent burping and vomiting, bad and bloody stool) But I don’t eat heavily during night time or consume alcohol in larger quantity. Kindly help! It is not only because of those two factors. There are other factors which contributes to acidity. Some factors such as eating spicy foods or too much of gastric items may lead to acidity. Have you been taking too much of spicy items in your diet lately? What changes in my life-style, for example, dietary habits, may be beneficial in addition to the treatment you are recommending? Having your food at the right time and proper acid free diet will be beneficial to you. is that acidity will play a key role in the formation of ulcer? There are chances that it might cindy. 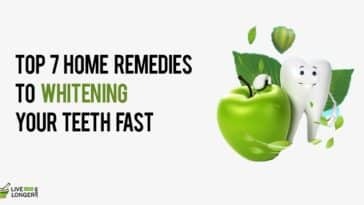 These remedies takes time ..Suggest me some instant relief remedies!! I feel better relief, thanks a lot!! Apple Cider vinegar is helpful to make a feel in acid free.